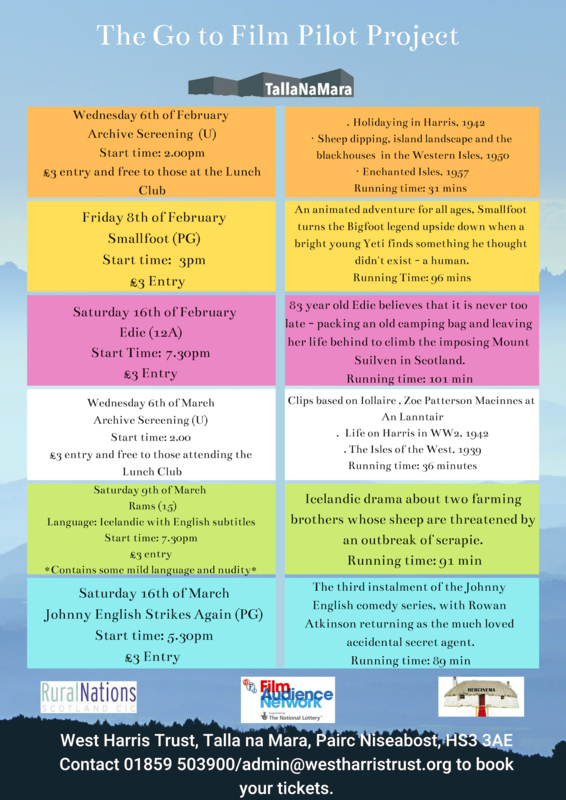 After you finish your lunch, enjoy an afternoon of cinema at Talla na Mara, funded by Heb Cinema’s Go to Film Pilot Project. They would be grateful if you could fill in a short survey at the end of the screening. Life on Harris in WW2 /Western Isles 1942Life on Harris in the Western Isles during World War II. A local family await news of their son after the sinking of the vessel “Atlantic Queen”. Scenes of fank shot at Scarista. Based on a real-life incident involving islander Angus Murray.